George Abrahams Trading was originally setup to supply prime meat products for the groups Smithfield stalls, and has grown from there. Importing from North & South America, Australasia and mainland Europe supplying a wide range of customers in the UK and continental Europe, in addition to our own outlets. As a complement to our imports, we are increasingly active in the export sector particularly Europe and as far afield as Asia, Africa and the Caribbean, however our traders know no borders and are always on the lookout for new opportunities. Our experienced multi-lingual team are continuing to develop strong relationships with both new and existing suppliers and customers worldwide. 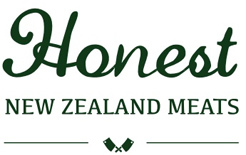 Suppliers of certified Angus Beef, Hereford Beef and Wagyu Beef and we are always looking to add premium meats to our range. Trading hours 08.00 – 17.00 Monday to Friday.